1、The machine is built with cantilever and separated the main machine and bench. The work piece can be loaded and unloaded from three directions. Oversize sheet metal can be placed on the cutting table. 2、Machine use German precision ball screw and linear guide as transmission components, which is with high precision and speed. The maximum operating speed ( no load) is 50m/min, the positioning accuracy is ±0.03mm/m and the repeat positioning accuracy is ±0.01mm. 3、The machine utilizes PA laser dedicated CNC systems. The laser controller and the NNC machine control system combined into one controller. The machine control system integrates laser cutting specific power control function, cutting table operation function, laser operation function, expert cutting process parameters library, remote diagnosis capability, etc. 4、The machine is equipped with a Radan 2012 R2, of Great Britain, dedicated CAD/CAM automatic programming, automatic nesting software, which is to facilitate during manufacturing plotting, programming, and to maximize conservation of raw materials, and to set up special functions of the cutting process. 5、The cutting waste is transferred to a scrap cart through funnel, which is convenient for operator to clean regularly. 6、The machine has exchangeable cutting tables and loading and unloading of work piece can proceed while the machine is in cutting operation which greatly improves the production efficiency. 7、The machine utilizes a Precitec, of Germany, capacitive sensor. The cutting head uses a drawer-type focusing lens mount, It is very convenient to replace or clean the lens, as well as interchanging 7.5”、and 5”lens. During cutting operation, the distance from the tip of the nozzle to the surface of the sheet metal can be adjusted at will by the height adjusting knobs, which ensure the cutting quality. The cutting head is fitted with impact protection. 9、The gas lines all use imported components. The three cutting gases are free to choose, and the pressure can be changed at any time. The entire gas lines system uses high pressure gas line design. When cutting stainless steel sheet, the nitrogen pressure can be up to 2.0 Mpa. 10、The machine with the laser cutting unique proprietary technology, the laser power of high-speed response slope tune, nozzle self-cleaning, high-speed punch, leapfrog movement to reposition and rollback cutting, automatic boundary. Nanjing Eastern Laser Co.(NELC), a subsidiary of Rofin-Sinar Technologies, Inc. in China, specializes in design, development, manufacturing, sales, and technical services of high power CO2 laser sources and laser-based materials processing systems. Rofin-Sinar Technologies, Inc.is the world leader in industrial laser sources and laser-based materials processing solutions with over 50 branches or offices in more than 20 countries and regions around the world. The company was founded in 1993, and located in the National Nanjing High-tech Industrial Development Zone. NELC is a member of the executive directors of China Optics and Optoelectronics Manufacturers Association. NELC was appointed by the association to draft the national industrial standards for gas lasers. Jiangsu Provincial Government certifies NELC a high-tech enterprise. The City Government of Nanjing accredits NELC a foreign-invested advanced technologies enterprise, as well as a credit-worthy and trust-worthy company. The company passed the ISO9001 quality assurance system certification in 2000, and the laser products have passed CE certification. The company regards product quality essential for survival, and innovative technology will be our foundation for development. We see customers as friends, and customers’ needs will be the goal of our pursuit. Excellent services are our best guarantee to our customers. We see competition as stimulus to push us to do better. Sustainable growth will be the goal of all our endeavor. We will pursue a strategy of development in that we will strive to develop what is not available elsewhere, and for the ones available we will develop a better one. We provide technical advice, operations training, quality services during pre-sales, sales and after-sales, and laser application solution and turn-key laser processing equipment services to customers. Nanjing Eastern Laser Co. Ltd has exported machine to many countries such as America country, Europe country, Middle East country and South East Asia country etc, Until now we have supplied about more than one thousand units of CO2 lasers and CNC-laser cutting machines for materials processing in a variety of industries. 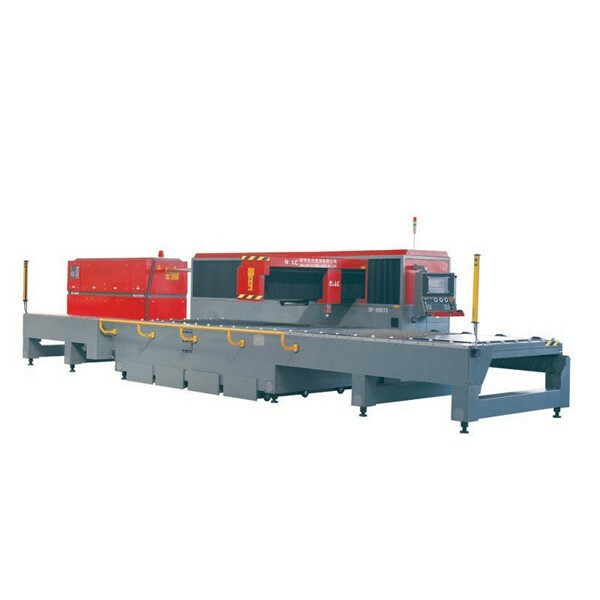 These lasers and CNC-CO2 lasers cutting machines have been used in track-rail transportation industry, textile machinery, grain processing machinery, agriculture machinery, fabric dyeing machinery, food processing machinery, engineering machinery, elevator manufacturing, aerospace industry,, appliances manufacturing, electric cabinet manufacturing, die-board cutting for printing& packing industry, sheet metal cutting, diamond saw blade manufacturing, water pump impeller welding etc.. The application of laser processing system in manufacturing is expanding as more and more manufacturers adopt advanced manufacturing method in production.